High quality graphics processing units (GPUs) require a PCI-e 16x slot on the motherboard. Unfortunately, when using the best gpu for mining, these cards not only use one of the few available PCIe 16x slots on your motherboard, they are also double-thick, which means they will use one slot and often cover the neighboring slot. Even if you could install two mining GPUs right next to each other, it would slow down thec ooling process and cause your GPUs to run hotter (possibly shortening the life of your GPU, lowering the hashrate as well, and using more power as they spin the fans faster to try and maintain a normal operating tempature). Enter PCI risers. Luckily for us, when using the best GPUs for mining, we don’t require PCI 16x slots. In reality, because of the way the mining calculations work, we only require a PCIe 1x slot. This makes extensions simple and relatively cheap to make. These extensions are called PCI risers, and they plug into the 1x or 16x or 8x PCI-e slots and allow you to move your GPUs away from the motherboard and apart from each other for optimal cooling. When determining the best motherboard for mining, don’t just count the PCI-e 16x slots, count all of the PCI-e slots and get some risers for your mining rig build. 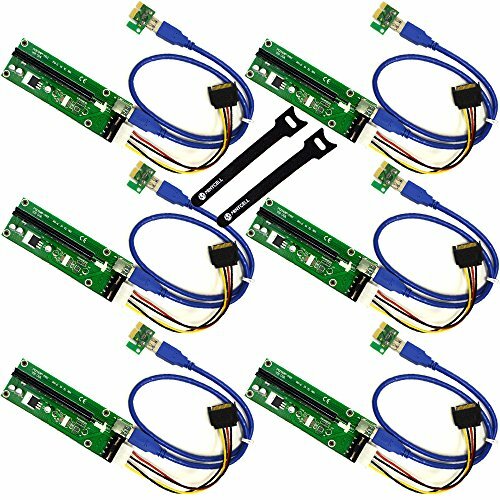 I came across your For a GPU mining rig, how many PCI-E 16x slots do I need? – Pyramid Reviews website and wanted to let you know that we have decided to open our POWERFUL and PRIVATE web traffic system to the public for a limited time!